When Kevin Jordan, of Jordan Portrait Design in Southeastern North Carolina, first started his portrait photography studio, he struggled to keep things going. He knew something had to change. About three years in he began looking at his most successful colleagues and how they did business. 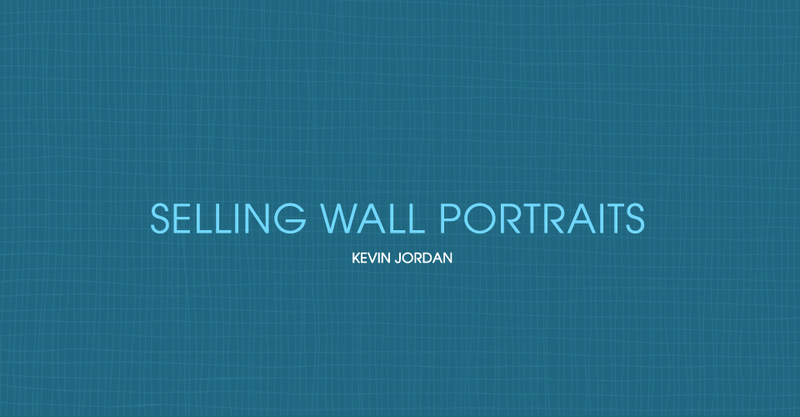 Jordan took the plunge into wall portraiture and never looked back. Striving to be a true artist in his studio, his goal is to replace the legacy paintings that have been on walls for centuries. Jordan offers Miller’s Canvas Masonite Print to clients to carry out his strategy. Display what you want clients to buy. Wall portraits are best sold in person by projection sales. Think of selling wall portraits as wall furniture more than large photographs. Be a designer when talking with clients and design what will work best for their wall spaces. Be confident in your wall art products and pricing.